For Melissa May, happily married to Gavin for the best part of thirty years, life couldn’t get much better. Her world is ripped apart when she discovers Gavin is HIV positive. The shock of his duplicity and irresponsible behaviour re-awakens a psychiatric condition Melissa has battled since childhood. Fuelled by rage and a heightened sense of right and wrong, Melissa takes matters into her own hands. 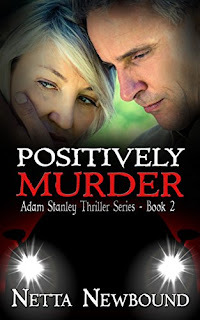 Homicide detective Adam Stanley is investigating what appear to be several random murders. When evidence comes to light, linking the victims, the case seems cut and dried and an arrest is made. However, despite all the damning evidence, including a detailed confession, Adam is certain the killer is still out there. Now all he has to do is prove it. Penelope Grand has scrapped her failed career as an artist in Pittsburgh and moved back to Brooklyn to keep an eye on her ailing father. She’s accepted that her future won’t be what she’d dreamed, but now, as gentrification has completely reshaped her old neighborhood, even her past is unrecognizable. Old haunts have been razed, and wealthy white strangers have replaced every familiar face in Bed-Stuy. Even her mother, Mirella, has abandoned the family to reclaim her roots in the Dominican Republic. That took courage. It’s also unforgivable. When Penelope moves into the attic apartment of the affluent Harpers, she thinks she’s found a semblance of family—and maybe even love. But her world is upended again when she receives a postcard from Mirella asking for reconciliation. As old wounds are reopened, and secrets revealed, a journey across an ocean of sacrifice and self-discovery begins. 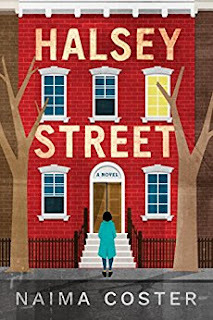 An engrossing debut, Halsey Street shifts between the perspectives of these two captivating, troubled women. Mirella has one last chance to win back the heart of the daughter she’d lost long before leaving New York, and for Penelope, it’s time to break free of the hold of the past and start navigating her own life.